This is your home grid for Salamis Organisation, a leader in the Travel, Tourism, Cruise, Shipping and Transport sectors. We invite you to explore these pages and examine all we have to offer. 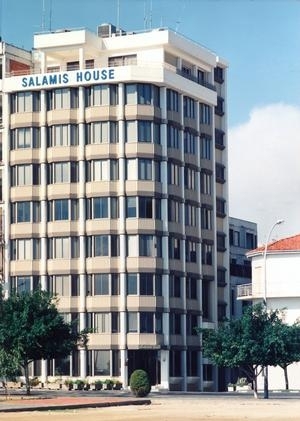 Founded in 1959 by Vassos G. Hadjitheodossiou as a customs clearing office in Ammochostos (Cyprus) and inspired by the old town of the nearby ancient Kingdom ‘Salamis’, the company was named after this glorious place. Celebrating 55 Years of enabling commerce in multiple countries and territories worldwide, our reputation for putting the customer first has allowed us to become one of the most recognized organisations regionally in the provision of specialised transportation, logistics, shipping, and travel sectors. 07/12/2018 | ΚΕΒΕ Business Leader - Ναυτιλία ο Βάσος Γ. 09/08/2018 | Θα θέλαμε να σας ανακοινώσουμε ότι η εταιρεία C.I.